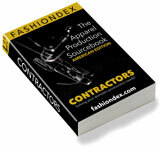 AIKEN INDUSTRIES, INC. solving Pants & Shorts & Skirts production and contracting needs. Description: Contractor of ladies & mens pants & shorts, plus ladies skirts. Expert with knit & woven fabrications. Compare AIKEN INDUSTRIES, INC. with all 24 listings in Pants & Shorts & Skirts.